Building a Budget PC: Should You Buy a Used Graphics Card? 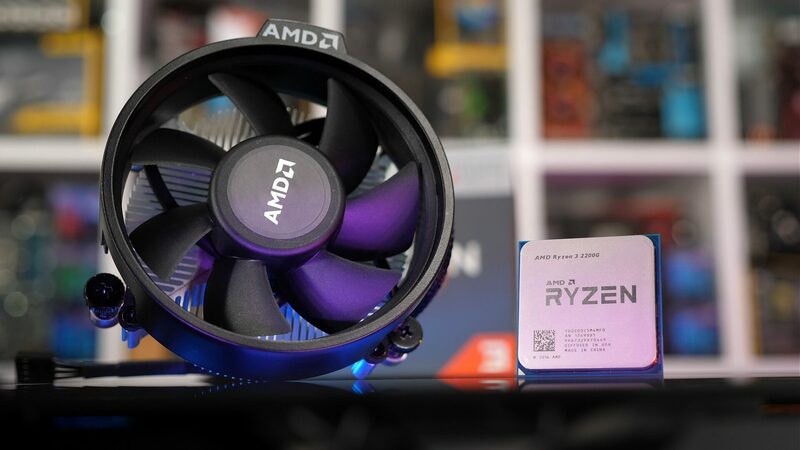 At a time when graphics cards are extremely overpriced, AMD's new Ryzen 3 2200G and Ryzen 5 2400G offer an affordable means of building a basic gaming PC. In terms of value, the 2200G has been unbeatable in all of our tests so far, but we've been keen to see if the APU holds its ground against bargain priced second-hand GPUs. Today we're going to find out, having benchmarked a bunch of used graphics cards against AMD's Raven Ridge APUs. For this comparison we have 8 games on the menu as well as 6 second-hand GPUs covering a range of prices. That forgotten GeForce GTX 750 Ti from 2014 suddenly has become more attractive, as have other GPUs from yesteryear that can set you back anywhere from $30 to $150. The discrete cards have been tested with the Core i3-8100 using 16GB of DDR4-2400 memory while the Raven Ridge chips have been tested using their integrated Vega 8 and Vega 11 graphics and the APUs have been paired with 16GB of DDR4-3200 memory. For the most part, I'm not focusing on overclocking performance but I'll touch on that briefly towards the end with a quick look at discrete GPU performance when paired with the 2400G. Testing has been conducted at 1080p and 720p and yes, budget gamers often play at these resolutions -- it's called making do and it's still a lot of fun. Along with the resolution, gamers on a budget typically have to compromise on image quality so I've tested using the appropriate quality presets. Starting with the 720p results, we see that the 2400G is only able to roughly match the GT 1030, which is a current generation entry-level GPU. It's interesting to see that the now eight-year old flagship GeForce GTX 580 was 13% faster than the 2400G, and of course it guzzles about 20x more power so keep that in mind. The GTX 750 Ti is a standout here, offering 23% more frames on average, a pretty decent performance uplift. That said, the R7 370 runs away even further, offering over 40% more frames while the GTX 760 and HD 7950 were faster again. Before you get too disappointed though, be aware that these old graphics cards aren't cheap and we'll discuss this more later. Jumping up to 1080p really hurts the APUs in Star Wars Battlefront II. Even on the low quality settings, the game is just too memory intensive and the lack of dedicated VRAM becomes a problem. As a result, ultra entry-level GPUs such as the GT 1030 and RX 550 start to pull ahead, well ahead in the case of the RX 550. Meanwhile, the GTX 750 Ti was 35% faster on average and 46% faster when comparing the 1% low data. Moving on, we have CS:GO and this title is as much of a CPU test as it is a GPU test, especially at 720p. I suspect those 1% low results are a limitation of the Ryzen CPU, more than the Vega GPU, and we see clear evidence of this when moving to 1080p where the Vega 11 GPU inside the 2400G was able to match the GT 1030. For CS:GO players seeking big frame rates, you'll ideally want an Intel quad-core but it has to be said that value for money, the 2200G and 2400G do well here and provide a smooth, playable experience. Still, the Core i3-8100 with the old GTX 660 Ti does allow for over 70% more frames on average. The Raven Ridge APUs are much more competitive in Dota 2, particularly at 720p. That said, the Core i3-8100 with a GTX 750 Ti was almost 50% faster when comparing the 1% low data and 65% faster for the average frame rate. The margins remain much the same at 1080p and while the experience was still good with the APUs, it was noticeably smoother with the Core i3-8100 and GTX 750 Ti combo for example. The R7 370 also allowed for a minimum of 60fps at all times in our test. Fortnite Battle Royale plays very well on the Raven Ridge APUs. At 720p you can't really complain with the 2400G, though the fact that the R7 370 and GTX 750 Ti are over 40% faster means you'd be able to crank the visual quality settings up and maintain over 60fps at all times. Moving to 1080p shows how limited the APUs can be in terms of performance and while the 2400G did manage to roughly match the RX 550 and GT 1030, it was worlds slower than the GTX 750 Ti and R7 370. Those particular discrete graphics cards offered 60% more performance which is obviously quite significant.